services | Robert M. Galatzer-Levy, M.D. Dr. Galatzer-Levy provides expert opinions and forensic consultation to courts and attorneys. 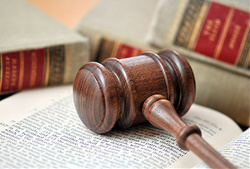 He has extensive experience providing expert testimony and performing evaluations for the courts and administrative bodies such as licensing commissions and ethics committees. He coedited The Scientific Basis of Child Custody Decisions, now in its second edition a national recognized text on custody evaluations.. He has performed evaluations and testified in multiple areas including criminal responsibility, criminal confessions, child custody, both civil and criminal competency, psychoanalytic and psychotherapeutic malpractice and ethics, and product liability. He has been qualified as an expert by many state and federal courts. Dr. Galatzer-Levy has experience as an expert witness or evaluator or consultant in the following types of legal cases.